To ensure that you’ll get a better idea of Flo and his inspiring story take a look at this video. Get to know him and watch him in action! Flo is an aspiring triathlet. The bars below visualize the focus and next big goals. You feel like you can support him or have friends who could do so? Great! Drop a line! Flo Brungraber comes like most of the Austrians from a little village. Therefore sport has always been an important part of his life. Due his adventureous personality he eventually found a new passion in his mid twenties: paragliding. He loved the feeling of absolute freedom, gliding through the air, the birds eye view. 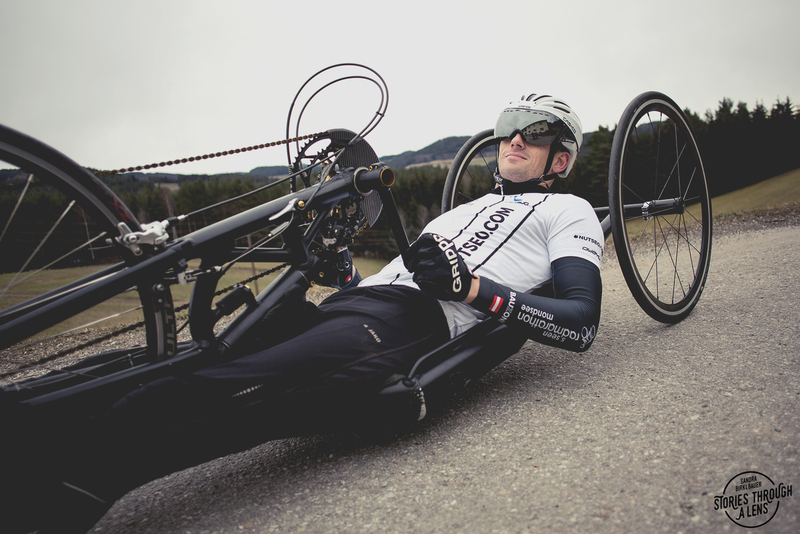 2011, the year his life turned upside down: an unpredictable paragliding accident resulted in serious spiral courd injuries, which finally lead to an incomplete paraplegia. When he got informed that he’d have to stay in a wheelchair for the rest of his life his life turned upside down in a second.However, he didn’t lose heart and moved on to therapy, highly motivated. After many months and daily trainings sessions he literally came back on track and found a new passion: thriathlon. 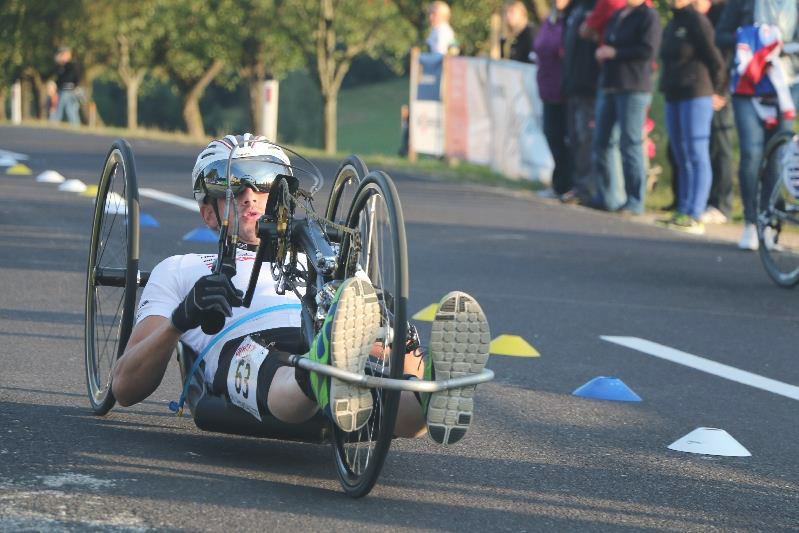 He certainly faced different and tougher training conditions, but thanks to adapted sports equipment he’ve been able to train effectively and pursue his newly set goals. Two and a half years after the accident he eventually reached another turning point in his life: his first, official thriathlon competition. All the hard training finally paid off. The kick off of a new era. “Based on my story I’m truly convinced that fighting for your dreams always pays off”, says Flo. Doing sports strenghtens your body and coenesthesia at the same time. A credo he constantly spread within his social environment. In his personal opinion one needs to have a certain goal to push himself at all times. 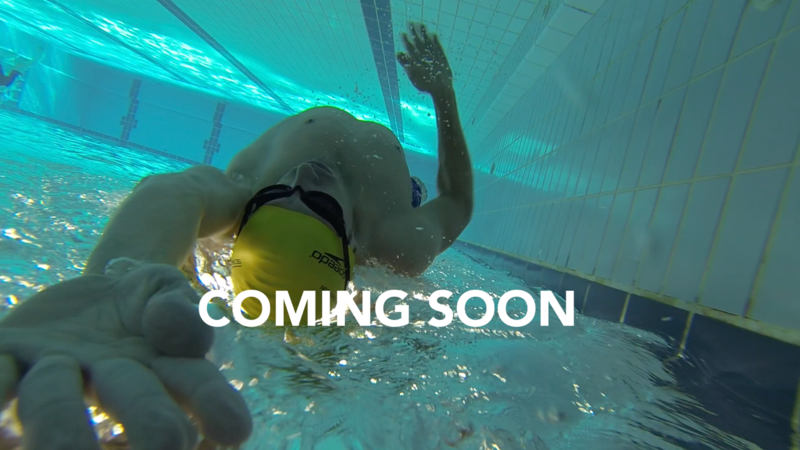 Therefore he has set himself a new challenge, the Ironman 70.3. What he gets impressed by? People, who are brave enough to leave their comfortzone and fight for their dreams, not matter what others tell them or think about, no matter how tough the initial position might be. This is why he supports the Bloodsister foundation. He would like to encourage talented people to believe in themselves and to realize their dreams. He would like to show them that you can still make excellent lemonade when life gives you lemons. Read Flo’s Blog Posts, accompany him on his way to success and keep yourself updated by following his stories.